If you have already decided that you want to hire a tour but you don’t know which agency to choose, we can recommend a trustworthy agency to you, just contact us through this form. As I explain in my article published a while ago on this site, the Shaolin Temple is located in the Henan province. This province is considered the origin of Chinese culture and of many styles of martial arts. Despite this, it is almost unknown to international tourists. If you add to that the fact that it is a relatively poor province with a lack of proper infrastructure, it’s not hard to imagine how complicated it is to get around, especially if you don’t speak Chinese. Language: As I have mentioned, Henan isn’t very well-known to foreign tourists, which makes it almost impossible to find someone who speaks English, and not to mention other languages. Lodging: In Henan, the majority of hotels don’t have a license to host foreigners and even though a few years ago this wasn’t a problem as long as you paid, lately the controls have gotten much more strict, which makes it hard to find lodging. Communications: In many parts of Henan (including the Shaolin Temple), the only way to get there is by bus, but if that’s not enough, the regular bus lines don’t have very well-defined schedules or even routes. From personal experience, if you look online or in some guide to find out how to get there, in many cases the information isn’t very exact and can even be wrong. To give you an idea, even on official websites in Chinese, the information is quite vague. After talking about all of the problems that traveling there implies, maybe you no longer feel the urge to visit it, but I believe that visiting this part of China is without a doubt a unique experience and is easy to include in your trip to China. In my opinion, there are three main reasons for visiting Henan and in particular, the Shaolin Temple. The Shaolin Temple is located at a relatively small distance from Luoyang, a former Chinese capital filled with history and which is also home to the Longmen caves, a UNESCO World Heritage Site. Luoyang, in addition to being an almost obligatory stop if you want to visit the Shaolin Temple, is conveniently located between Beijing and Xi’an, which makes it easy to include in any classic tourist route. Visiting Henan will give you the opportunity to see another side of China, a rural China where foreigners are rare. This is the most basic tour and is ideal for people on a tight budget. Normally, this tour starts in Luoyang where you are picked up to go to the Shaolin Temple. 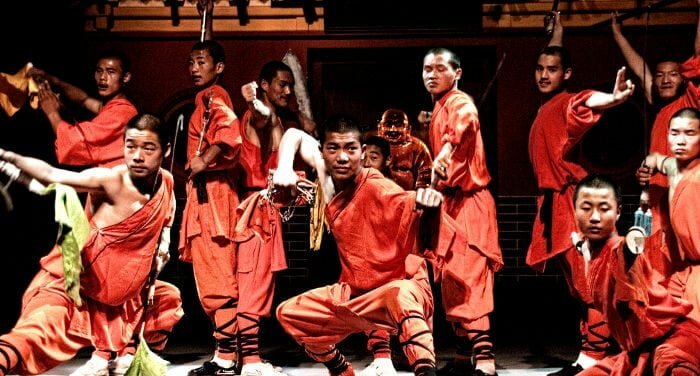 During the day, the majority of tours include a Kung Fu class with a Shaolin Master, the visit to the temple (a UNESCO World Heritage Site) and finally a Kung Fu spectacle. Personally, I really like this tour, as in addition to the already mentioned visit, it also includes a one-day visit to the spectacular city of Luoyang. Normally, this visit includes two places which are hard to access: the Baima Temple (or white horse), the first Buddhist temple in China, and the Longmen Caves. This is the most complete tour and in my opinion, is a good idea for people who want a special experience without complications. Normally, the tour starts in Beijing, where you take the bullet train to Luoyang. In Luoyang, you visit the city and the Shaolin temple, as already mentioned. Finally, from Luoyang, you take the bullet train once again and arrive in Xi’an. In Xi’an, you spend three days visiting the terracotta warriors, the Muslim neighborhood and other points of interest in the city. Many of these tours are oriented towards Chinese martial arts and also include Tai Chi classes on top of the wall which surrounds the old town. Where can I hire these types of tours? If you want general advice on how to choose a good tour agency for your tour in China, I recommend that you read this article. In particular, to visit the Shaolin Temple, as it is not a typical destination, it is not included in the classic tours offered by large operators. Because of this, if you want to hire a tour which includes this visit, you will have no other choice than finding a local tour operator.